United Kingdom – January 22, 2019 – We are excited to announce that Method will once again attempt to achieve what no other World of Warcraft guild has achieved before. Come and join us on January 30th as we broadcast the Battle of Dazar’alor Race to World First LIVE from the Red Bull Gaming Sphere in London, UK. Watch the race unfold on Method’s Twitch channel and enjoy commentary by our talent line-up consisting of Richard “Rich” Campbell, Alan “Hotted” Widmann, Cayna, Aaron “Sours” Shaffer, Shanna “Darrie” Sarr, JB "JdotB" Daniel, Peyton "Tettles" Tettleton, Mike “Preach” and Adam "Bay" Knych from FinalBossTV. They will be joined by the Method raiders Sco, Gingi, Narcolies, Chrispotter, Perfecto and Deepshades who will play and stream live from the venue. If you are looking to spectate the race from a specific raider’s point of view, then you can check out our Streams page for all the available live streams on January 30th. We welcome again Discord as a partner for the Race to World First. Discord helps Method provide coverage throughout the event. 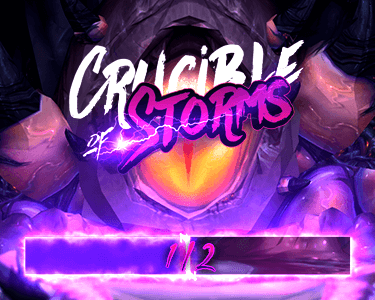 A dedicated category for Mythic Battle of Dazar’alor on Method’s Discord server includes a channel that provides updates on the race, a discussion channel and more. Join the Method Discord server by clicking this link. Method is supported by MSI who equips our raiders and talent with high-end performance gaming rigs and monitors including the super thin MSI GS75 Stealth and GE75 Raider gaming laptops recently showcased during CES 2019. Our newest team sponsor CORSAIR is providing their high-performance PC peripherals, while Vertagear will make sure that everyone sits comfortably during the race. A new partner determined to fight cold hands joins the Race to World First with Zippo Gaming. Method raiders at the Red Bull Gaming Sphere are aided by Zippo Gaming’s rechargeable hand warmers to spite the cold winter months of London. More support comes from our partners Fanbyte, the parent company of Wowhead and a source for video game guides, reviews, lists and more. Kensington Gamer with their award winning ergonomic products, and of course Method’s livestream platform of choice Twitch. For more than a decade, World of Warcraft’s Race to World First was a competition that took place behind closed curtains. Livestreaming made it possible to spectate the best players and teams in the world achieve greatness but the raid race remained to be a secret competition until last September. The livestream of Mythic Uldir was an incredible experience. For the first time we showcased the tenacity and willpower that raiders are required to have in order to achieve a World First. Admittedly I was worried that watching hundreds of failed attempts on the same boss could lead to viewers tuning out eventually. But the opposite happened, every failed attempt watched got you more invested in the race. I’m incredibly excited to announce that the Method guild will livestream their attempt on another World First in Battle of Dazar’alor. See you all next week! The Race to World First – Battle of Dazar’alor livestreams will begin in the early morning (GMT) on January 30th 2019. Make sure to follow the Method Twitch channel with notifications on to not miss out as we start the race! More announcements regarding the event to follow, stay tuned. From a World of Warcraft guild to a global esports organization. Founded in 2005 by Scott ‘Sco’ McMillan and based in the UK, Method is today consisting of 11 teams featuring 90 world class players across 7 different games: World of Warcraft, Fortnite, Rocket League, PUBG, Street Fighter V, Injustice 2 and FIFA 19. More than an esports team, content creation is one of Method’s core foundations. Besides housing one of the largest live stream teams in esports, Method is the host of original events such as the Method Majors and the Race to World First: Uldir, with the latter reaching over 6 million unique devices worldwide. For the latest news and content, follow Method on Twitter, Facebook, Instagram, YouTube, Twitch and join us on Discord.